Aylesbury log cabin in the snow. 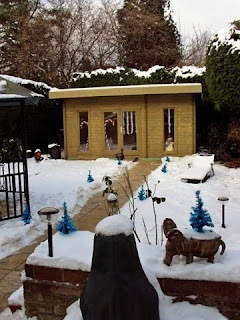 Another photo of the Aylesbury log cabin with a reminder of just how much snow fell in Buckinghamshire late December! 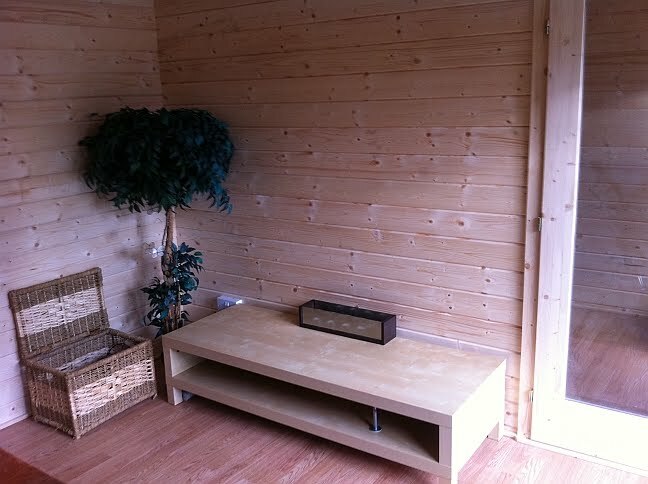 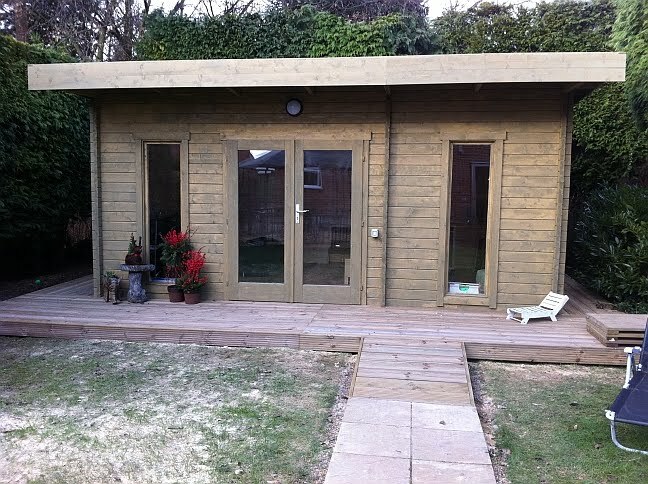 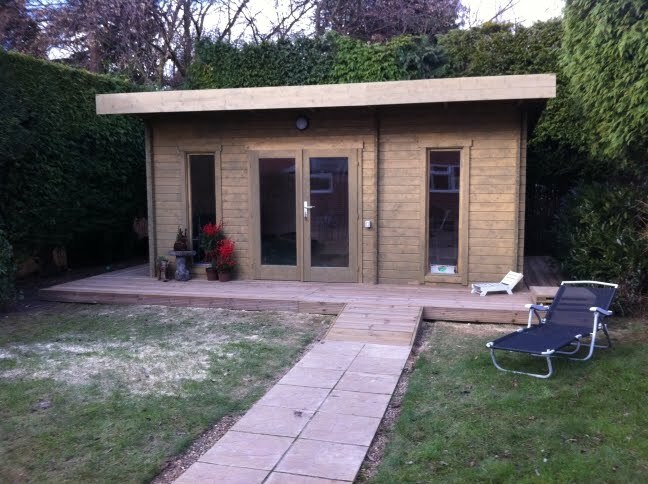 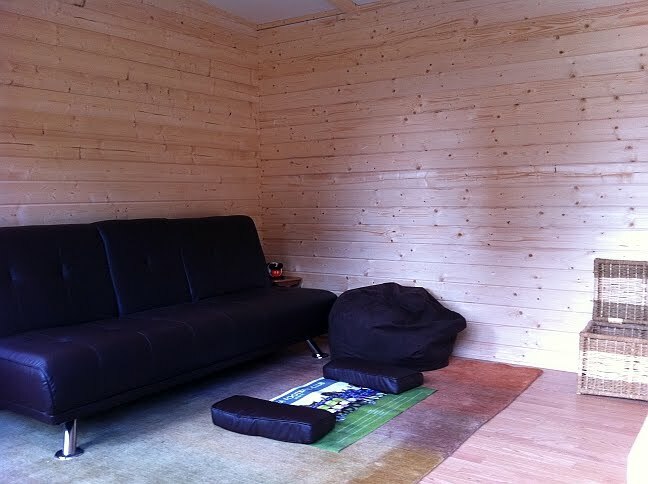 It was nice to pop back to this garden room and see it fitted out with furniture ready to use! Split into two separate areas with a partition a third of the way across this garden studio it creates a tv or reading room one side. 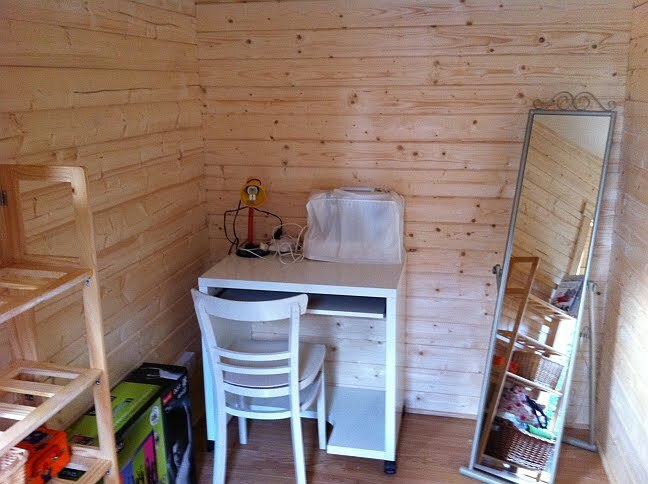 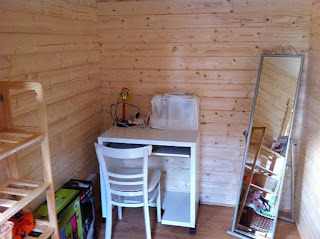 In this case the other room is fitted out not as a garden office as you might expect but as a sewing and craft room. 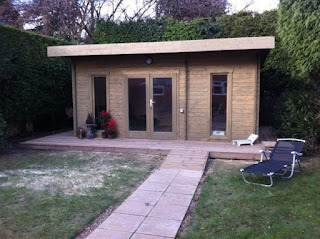 A decking area and low door thesholds in relation to the laminate floor allows easy wheelchair access for our client.